Delivering on the environmental dimension of the SDGs requires achieving the sustainable management of chemicals and waste, that is one key message which UNEA-2 is expected to underline and re-affirm. It is also the message brought by the BRS Secretariat staff travelling to UNEA-2 in Nairobi, 23-27 May 2016. Through participation in a series of side events, panel discussions, and civil society green room events the BRS Executive Secretary Rolph Payet, and Deputy Executive Secretary Kerstin Stendahl, will promote the implementation of the BRS Conventions as part of the efforts to integrate chemicals and wastes into national implementation of the 17 Sustainable Development Goals or SDGs. The UNEA-2 Committee of the Whole (CoW) will meet throughout the week to prepare decisions for adoption. Important for chemicals and wastes will be the negotiations on the Omnibus Decision on Chemicals and Waste as a renewed commitment to strengthened implementation at national level. Sustainable consumption and production, marine plastic debris and microplastics, and air quality as well as many cross-cutting issues will also be of relevance as pieces in the jigsaw puzzle of SDGs implementation, themes which may well be developed in more detail (further explored?) at the 2017 Triple COPs. 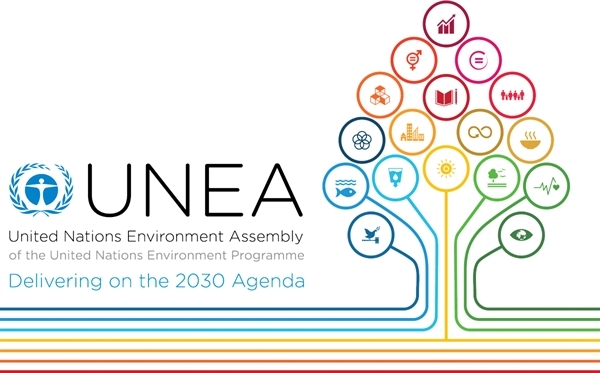 On the first day, Monday 23 May at 1300, Rolph Payet will provide the Opening Remarks to UNEA-2’s first Side Event (#1), on “Advancing Sustainable Chemistry in a Sustainable Development Context”, organised by the Government of Germany, Federal Ministry of the Environment. On Wednesday 25 May at 1300, the Rotterdam Convention President, Franz Perrez from Switzerland, and Rolph Payet will act as Panellists to the UNEP-facilitated Side Event (#19) on “The mutually supportive role and benefits of MEAs and the Agenda 2030 for Sustainable Development”. On Thursday 26 May at 1300, Rolph Payet contributes as Panellist to the Norwegian Government’s Side Event (#24) on “Marine Litter and Microplastics”, whilst at the same time Kerstin Stendahl will moderate the Side Event (#26) on “The Impact of Childhood Exposure to Toxic Chemicals on Children’s Rights”, organised by the UN Special Rapporteur on Hazardous Substances and Wastes, co-sponsored by the Office of the High Commissioner for Human Rights (OHCHR) and UNICEF. That evening at 1700, Rolph Payet will then feature as Panellist on the Global Universites Partnership/UNEP Green Room Event (#22)on “Innovation and Solutions: Environmental Education for Sustainable Development Goals”. In addition, the BRS secretariat will have an information Booth at UNEA-2 where interested delegates will be able to access, electronically, a range of important documents and publications and where BRS staff will be asking questions of delegates concerning the SDGs and chemicals and waste. The Secretariat will also be communicating latest news and updates live and direct from Nairobi through live-tweeting on @brsmeas. Follow us on twitter in order to stay up-to-date with what is happening at this important event, which has become known as “the global parliament for the environment”. For more information on UNEA-2 please consult the UNEP website http://web.unep.org/unea/.